A 19-year-old lioness in the Kerala Safari Park died as it faced age-related illnesses. The Kerala Safari Park is one of the 2 safari parks left in the Neyyar Dam that is near Thiruvananthapuram Kerala. 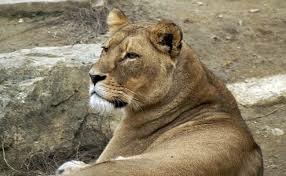 Officials from the Kerala Safari Park said that the 19-year-old lioness was named “Sindhu”, she died on the evening of Friday. They also added that she had been suffering some health issues for a while, the other lioness that is in captive is also not good, her name is “Bindhu”. There was only one lion in the park, but he died 3 years ago. The Lion Safari Park was built back in 1985 at the Neyyar Dam, this was the first lion safari park in Kerala and it is a famous tourist attraction in Kerala. The park used to have around 15 lions in total. The numbers started to exceed after some time so the lions were sterilized by the officials of the zoo. The park officials are making efforts to bring more lions in it.